← The plants are budding! This is entirely shameless. 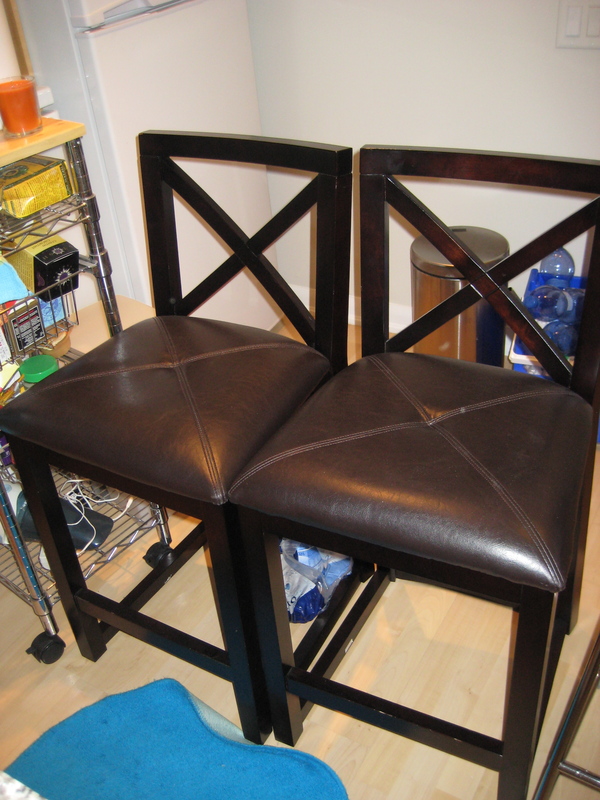 I need to sell these tables and chairs to someone who wants to make an offer and come and pick them up in Toronto. Please forward this link along to anyone you know who might be interested. 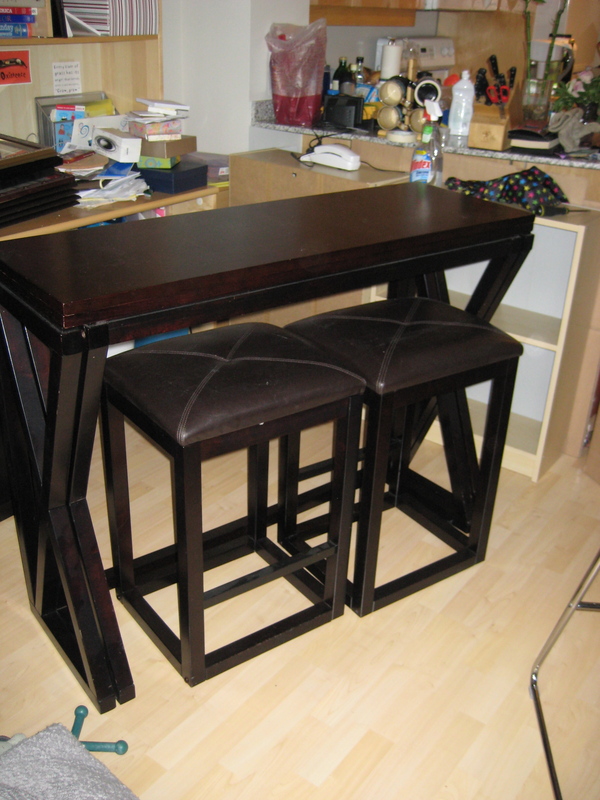 This is the bar height table and the two stools closed to seat two. This is the table expanded. The weird yellow tinge is from a lamp. 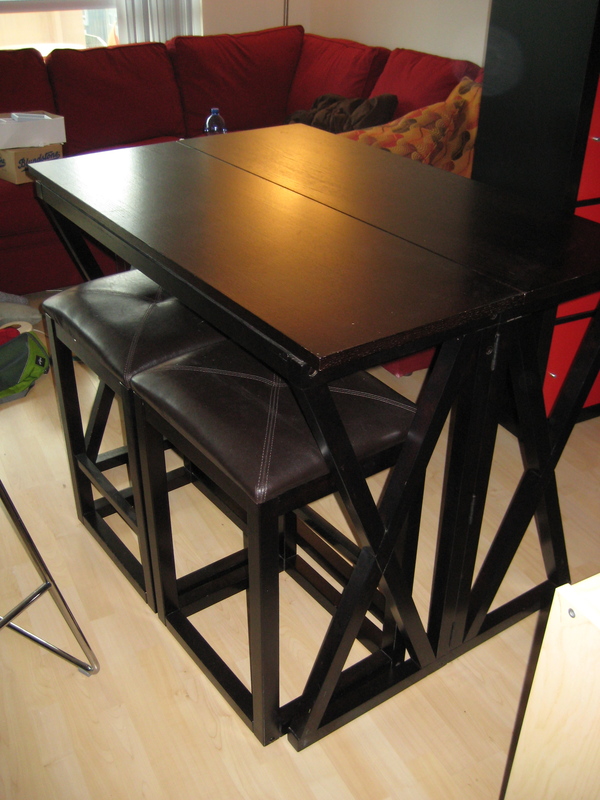 The dimensions of the table are (closed) 16″ wide x 48″ long x 36″ high. (open) 32″ wide x 48″ long x 36″ high. These are the other two stools with backs. As I suggested to you yesterday you can always call The Elegant Garage Sale 416 322 9744. Ask for Nana (but call in the afternoons), tell her who you are and that you know her favourite middle son. They sell things either on consignment or purchase them outright. When there is enough stuff, cartage can be arranged. If it is only the table and chairs, I may be able to borrow a van and help you. You have to look at it as G’finena Gelt though.